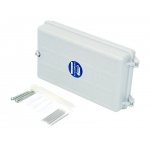 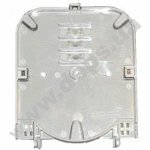 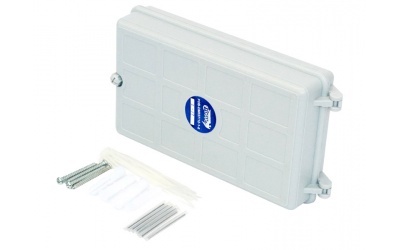 Plastic wall optical mini-box allows for dressing of up to 12 optical fibers. 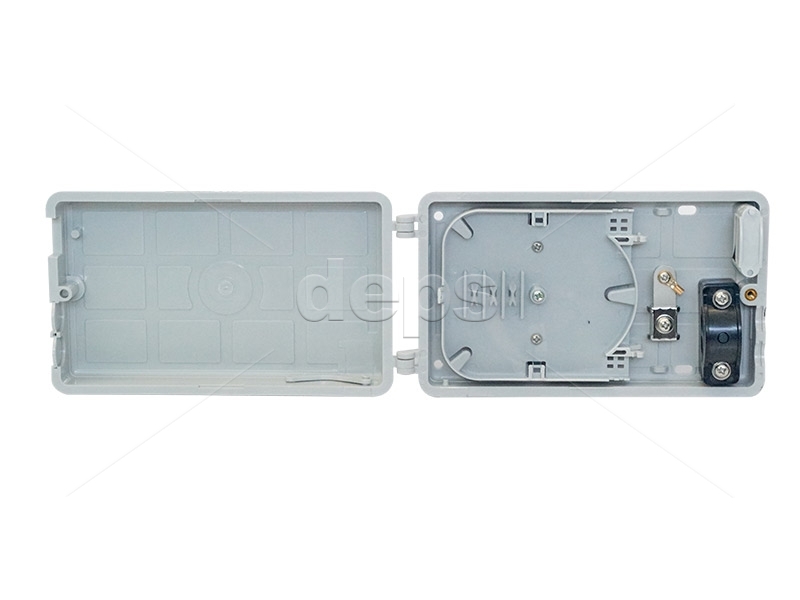 Pigtails are brought out through special seals. 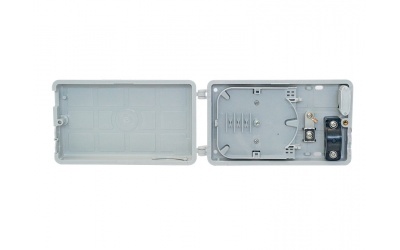 The box is the perfect solution for realization of lead-in distributors, telecommunication crosses, server rooms, and other communication centers with limited free space. 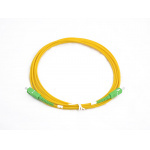 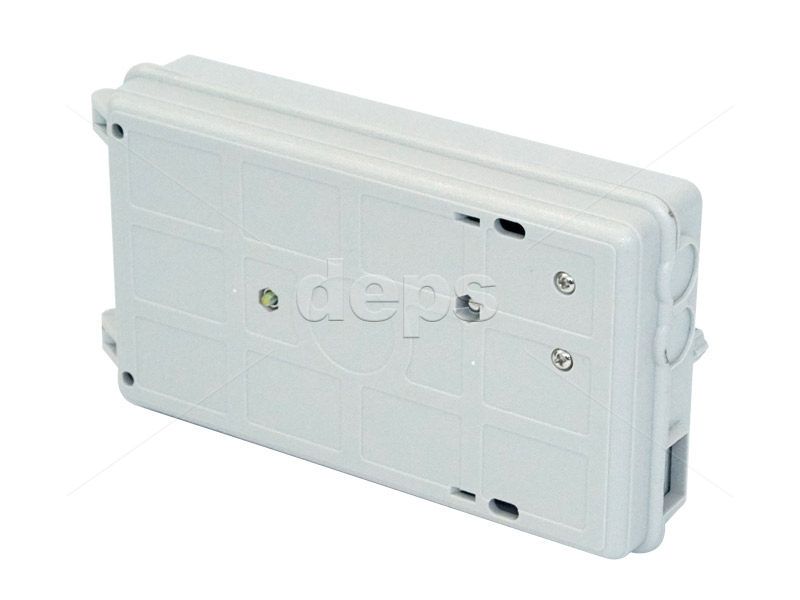 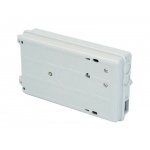 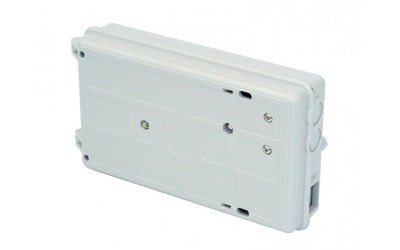 The mini-box allows for installation of 1-2 cassettes of type S037 (nominal capacity 6 splices, maximum - 12). 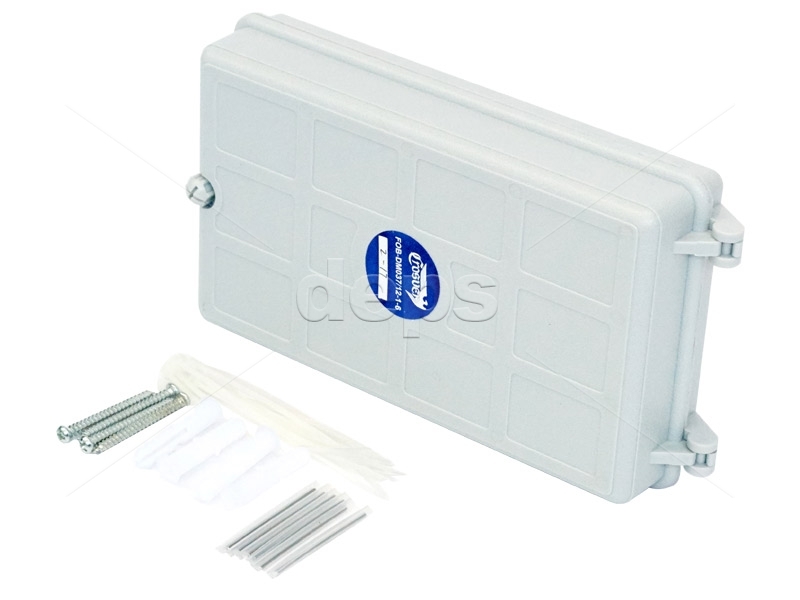 The mini-box is stocked with 1 cassette and 6 shrink sleeves 40 mm long.